I forgot the picture of the experiment. 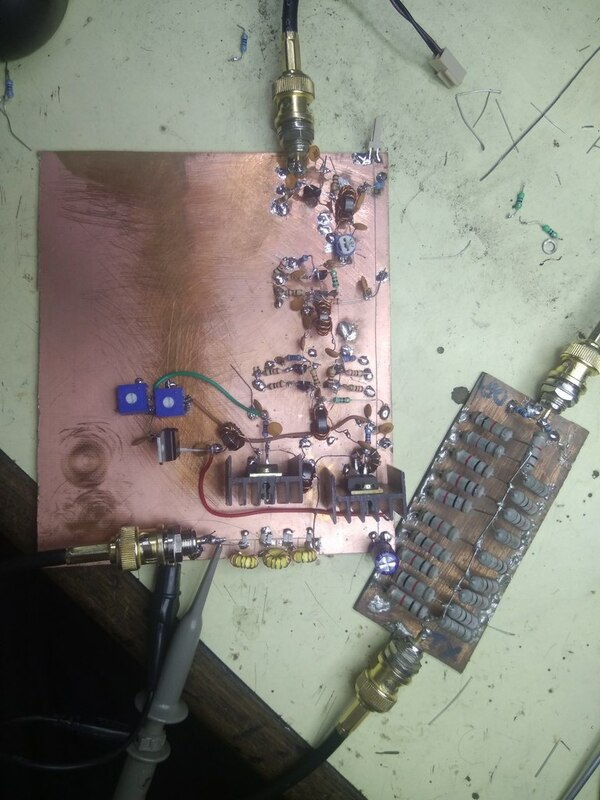 Here are the pictures at 14 mhz. The two tone test reveals 20 db IMDR, which is alright. If you want to see better, buy yourself two RD16HHF1s. Are you able to measure compression for linear operation (SSB) ? Harmonic content and levels ?